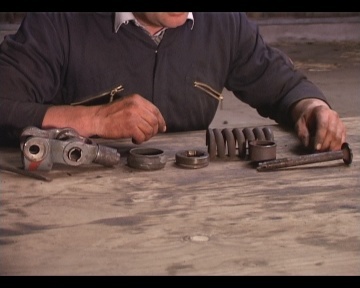 This DVD takes you through the full strip-down of the hydraulics, explains what to look for when assessing the components for wear, and then shows how to refurbish the system. 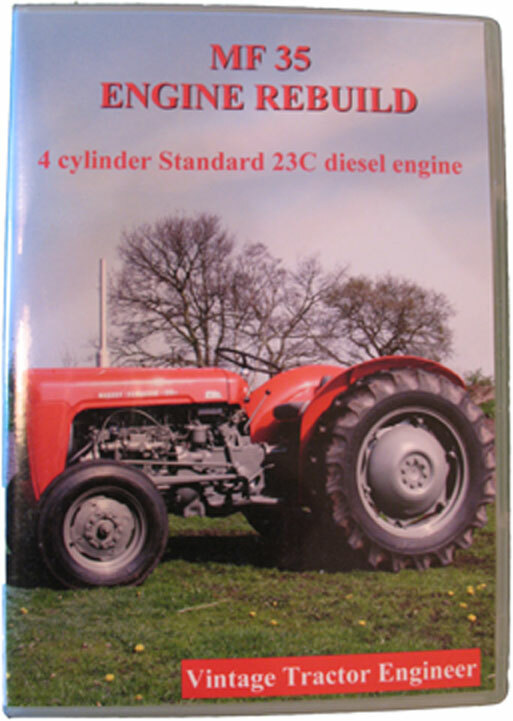 This DVD is also applicable to the Ferguson TO35, FE35 and MF835 tractors. This DVD is in PAL format, if you are in USA, Canada or other NTSC DVD country please read this page. 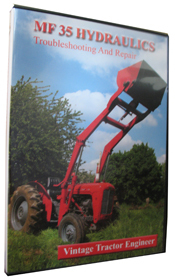 If your tractor experiences any of these problems…..
…..then this DVD will show you how to repair the fault and transform your tractor back to its former glory. Everything is shown in easy to follow step-by-step detail, so you can freeze-frame, rewind and watch the whole thing over again. 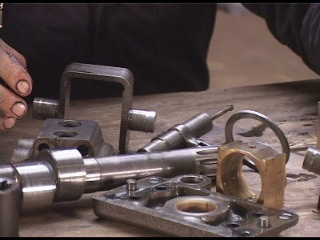 Many customers take their DVD players into the workshop so they can watch the film as they work! …but remember the quality of the DVD is much better than we can put over the web, and there’s over 1 hour 40 mins on the film. The film is also of interest if you just want to understand how the system works and watch how the repair is done (check out the filming of the DVD). 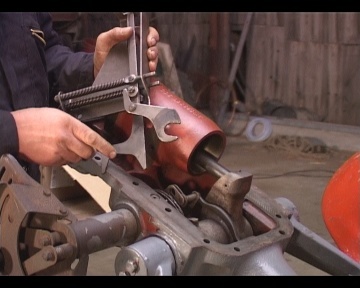 Repairing the pump isn’t expensive and many other problems are simple to repair, so if you follow this DVD you will be able to ….. These comments are from our customers, but if you would like to read some more independent views then please take a look at what people have said on our eBay feedback. Just received the long awaited MF 35 hydraulics DVD today – very much worth the wait – congratulations on an excellent production! J O, Inverclyde. A really excellent DVD I watched it last night and it will be extremely helpful. E C, Co. Cork, Ireland. First job is to get one of those brackets made so I can remove the top cover on my own. Good troubleshooting section – think I’ve diagnosed my problem and can’t wait to get started on the strip-down of my TO35. Chuck Harrison, USA. It is fantastic. My son and I now believe that we can take our tractor Hydraulics apart and put it back together again! Dr Lloyd V, Guyana. I bought the video you made and it was very helpful. I could not have repaired my Massey Ferguson TO35 without it. Thank you. Aubrey T.
Perfect video. 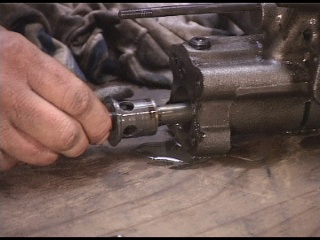 I have little or no hydraulics knowledge, but with the help of this DVD I managed to remove the pump and lift cylinder and partially strip the pump. I really didn’t have much hope that a DVD would help me with this repair, but I am 100 percent satisfied with my purchase !!! Graeme C, UK. 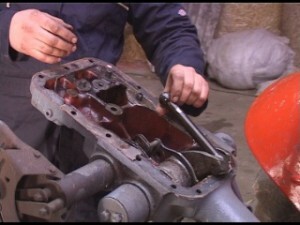 I received your DVD “How to repair hydraulic – mf 35” and it has been a tremendos help – Thanks. The tractor is now put together and the hydraulic works perfect thanks to your good instruction/video. Good filming, good light and working slow makes it to a video that I highly can recomend to anyone who has a MF 35. Erik, Sweden. The DVD shows you everything you need to know, but for some further advice and information on the hydraulic system that’s not contained in the film, then visit our additional hydraulics information page. 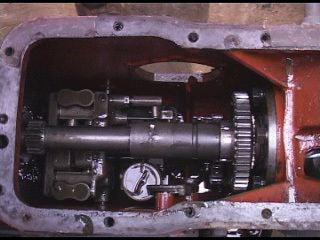 Buy both the MF35 (23C) Engine Rebuild DVD and the MF 35 Hydraulics DVD together for £54 (normally £69.98). Buy both the MF35 (3A.152) Engine Rebuild DVD and the MF 35 Hydraulics DVD together for £54 (normally £69.98). The idea of making this DVD was that it would help anyone, anywhere in the world, to refurbish their tractor hydraulics. Q. Is this DVD a Hollywood blockbuster with specail effects, highly paid film stars and a multi-million dollar budget? Q. 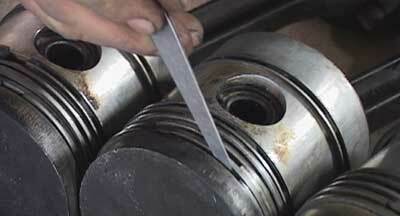 Does this DVD show you how to undertake the repair in clear step-by-step detail? A. YES, IN CLEAR DETAIL THAT A COMPLETE BEGINNER CAN FOLLOW !! !